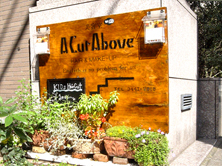 International hair salon A Cut Above(Hiroo sta. Minato-ku,Tokyo) Roppongi is next sta. 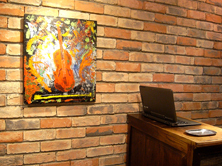 Welcome to our International Hair Salon located in the heart of Hiroo in Tokyo. With a large expat community, Hiroo offers a quieter upscale alternative to the busy, fast-paced areas of nearby Shibuya and Roppongi. A Cut Above provides professional yet relaxing hair care in English. In walking distance from Hiroo station on the Tokyo Metro Hibiya Line, our hair salon is close to many embassies and quality shops including National Azabu Supermarket where you can buy a large variety of your favorite products you might miss from home. Just across from this popular supermarket is Arisugawa Memorial Park, with 16 acres of woods, a pond, and a playground for children, making it the perfect spot to slow down and enjoy nature. Treat yourself to excellent hair care with our friendly staff, based on many years of experience serving the international community in Tokyo and overseas. Open from 10 am – 8 pm every day except Tuesday and the 3rd Sunday of every month.